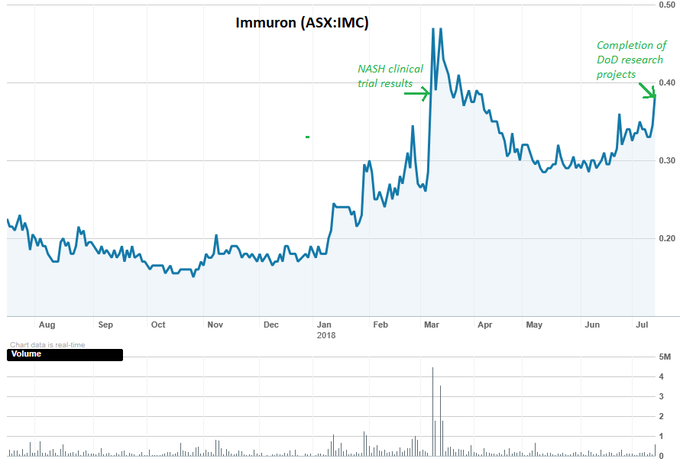 The team at Immuron Limited (ASX:IMC | NASDAQ:IMRN) has seemed to scarcely take a breath ever since we first began writing about them in March 2017. The company has provided a steady stream of positive news across its microbiome immunotherapy platform — which includes assets that are preclinical, at clinical stage, and the already on-the-market Travelan® product. IMC has now successfully completed three research projects on Travelan funded by the US Department of Defense (DoD). 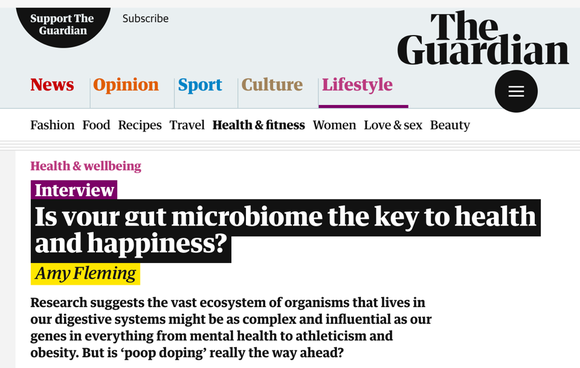 The studies were designed to evaluate Travelan’s ability to neutralise pathogenic bacteria of interest, including Campylobacter (an infection that can cause gastro), ETEC and Shigella bacterial infections. Travelan was shown to bind and was reactive to all strains of bacteria tested... now leading to the decision to progress to an evaluation of the therapeutic efficacy of Travelan in pre-clinical Shigellosis studies. The global burden of diarrhoeal diseases like Shigella dwarfs any of the more complex diseases seen in gastroenterology clinics. There are an estimated 1.5 billion episodes of diarrhoea worldwide each year, resulting in the deaths of approximately 2.2 million people — mostly children in developing countries. Shigella specifically is the cause of an estimated 600,000 deaths annually and 80–165 million cases of the disease worldwide and is particularly prevalent in sub-Saharan Africa and South Asia. For the US Military, a preventative treatment that protects against enteric diseases, specifically Shigella, is a high priority, particularly with the US DoD having a strong presence in South East Asia. It is early stages of this pursuit, so investors should seek professional financial advice for further information if considering this stock for their portfolio. If IMC can continue to progress its relationship with the DoD, resulting ultimately in an agreement for large-scale supply of Travelan to troops, a deal of that size could dramatically change the small cap’s trajectory in a short space of time. 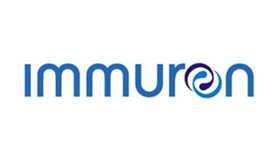 Immuron Limited (ASX:IMC |NASDAQ:IMRN) is a unique play — a microbiome biopharmaceutical company focused on developing and commercialising orally delivered targeted polyclonal antibodies for the treatment of inflammatory mediated and infectious diseases. So far the novelty of its assets and microbiome platform (which utilises bovine colostrum) has earned it plenty of interest from the market. In our last update on June 7, IMC had just released results from a preclinical program in Switzerland, exceeding expectations and going a long way to prove up the potential of this innovative treatment option. The results showed that oral administration of IMM-124E (IMC’s flagship asset) can lead to significant alleviation of colitis symptoms in mice, through the lipopolysaccharide (LPS) antagonist action (the suppression of LPS) which can induce or maintain remission in irritable bowel disease. Back in March, IMC released the results of its major clinical trial of the IMM-124E asset for NASH — which caused a 64% increase in IMC’s share price on the day of the announcement. With all that good news accumulating in the background, it feels like the small cap’s significant relationship with US DoD — which holds potential for a serious revenue uptick for IMC — almost seems like the icing on the cake. And yet it could be what sends this small cap into major player territory. Each time we hear from IMC the story sounds more and more promising. And now we get the impression the company could be on the brink of a growth spurt, particularly as the list of potential applications for its immunotherapy platform continue to expand. Yet, its latest announcement regarding its partnership with the US Department of Defense may hold the most promise yet. Last year, the DoD commissioned several studies to characterise the antibodies within IMC’s Travelan over-the-counter product. The aim of these studies is to progress trials to determine Travelan’s effectiveness in neutralising pathogenic gastrointestinal bacterial infections as a preventative treatment for US military personnel stationed in locations where such infections may be debilitating, like south-east Asia. The studies show that the specific antibodies incorporated into Travelan cross-react with multiple Campylobacter, ETEC and Shigella strains of bacteria.... which may account for “the broad spectrum antimicrobial properties afforded by Travelan”. The way Travelan is created, through IMC’s novel bovine colostrum platform, means it has been specifically designed to target selected surface antigens from the most common strains of Enterotoxigenic E. coli (ETEC) bacteria. 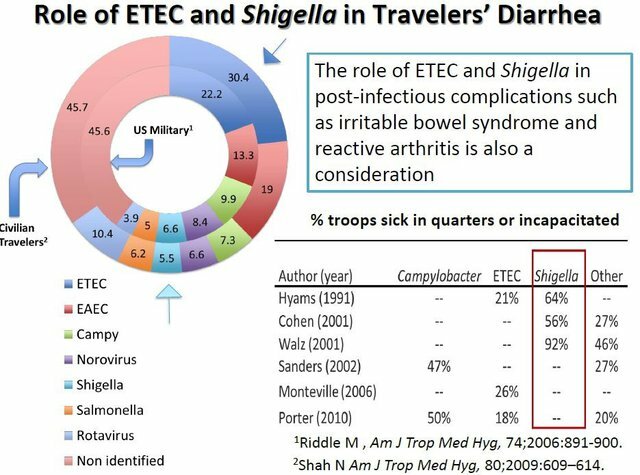 The DoD is very interested in the use of Travelan as a preventative treatment to protect military personnel against enteric diseases (ETEC), specifically Shigella. According to the University of Maryland (UoM) soldiers deployed to endemic countries can be quite debilitated by Shigella infection. Hence why Travelan is so important to this demographic. AFRIMS Study demonstrated Travelan effectively reacted to 180 clinical isolates tested from personnel infected with Campylobacter, Enterotoxigenic Escherichia coli (ETEC) and Shigella. This first study involving Travelan® was performed at the Department of Enteric Diseases, Armed Forces Research Institute of Medical Sciences (AFRIMS). The findings of the study were reported in January 2018. React with the major colonization factor antigens. Bind to key fimbrial proteins which are used by the bacteria to attach to host cells and cause disease. Inhibit the bacteria binding and causing cell hemagglutination. React with the heat labile enterotoxin sub-unit B (LTB) produced by Vibrio spp. (the causative agent of cholera). These results are particularly important for IMC’s plans to strike a major purchase agreement with the DoD and to amplify Travelan’s presence in the market. Although, there is still some time to go before this occurs so take all publicly available information into account before making an investment decision. Crucially, the research and development program will now progress to evaluate the therapeutic potential of Travelan in preclinical Shigellosis Challenge studies. Approximately 75,000 US Defense personnel are stationed in Japan and South Korea alone, with many more in other Southeast Asian countries including the Philippines, Thailand and Singapore. The WRAIR partnership undertook a research program which returned encouraging results in January, showing that Travelan is “reactive to a multitude of clinically relevant bacterium strains” within SE Asia. As mentioned above, that is just one of three studies of focus for the collaborative partnership. Considering the impact and costs of these infectious diseases of the gut, the DoD must see a huge opportunity in the use of Travelan, which currently retails for about $1 per tablet. 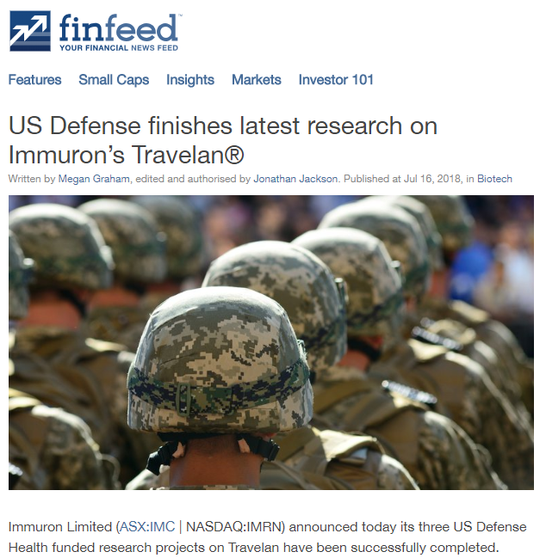 Even beyond its future prospects with the DoD for Travelan, IMC’s development of a novel, effective, non-antibiotic yet still anti-infective human immunotherapy opens a lot of doors. The medical community has known about the enormous impact of bacteria in the body, in particular the digestive system, for some time now. But IMC is bringing a truly novel solution to the fore with its colostrum-based treatment platform. Most mammals transfer immunity from mother to young largely through the placenta, but cows transfer almost all required immune boosting materials via the first milk, or colostrum. Which means that IMC’s OTC product Travelan quite literally contains Hyperimmune Bovine Colostrum Powder, a source of antibodies that bind to Enterotoxigenic E. coli in the gastrointestinal tract. These antibodies prevent E. coli from attaching to the intestinal wall and causing symptoms like diarrhoea and digestive upset — the symptoms of ‘Bali Belly’ and the like. IMC uses proprietary vaccines to immunise cows which target specific bacteria, toxins or spores — so when it comes to calving time, the colostrum is full of antibodies it needs to make its specific, targeted products. As covered in our first article on IMC, this means the cows act as bio-reactors. Due to the biologic nature of this process, the products wind up being safe as well as effective. Considering the well-established issues with high levels of antibiotic use it makes sense that IMC’s assets are garnering a lot of interest. 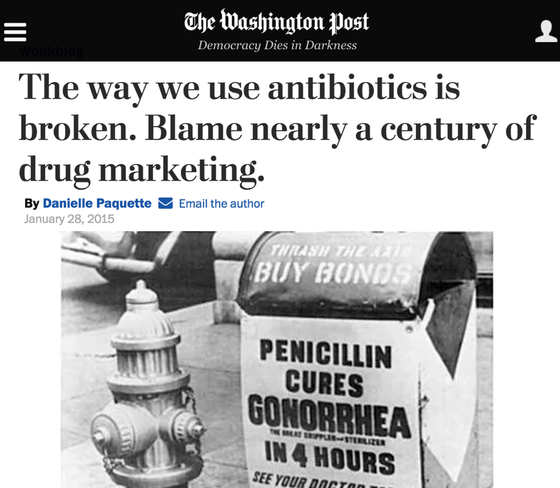 The below article highlights the problem with the way we use antibiotics. 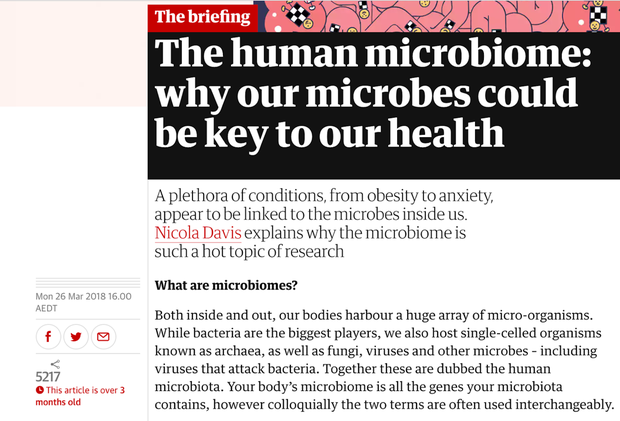 The above article, from 2015, refers to former US President Barrack Obama announcing a plan to nearly double the amount of federal funding dedicated to fighting antibiotic-resistant bacteria. It cites the CDC’s classification of antibiotic-resistant bacteria as a national health threat to the US, which causes an estimated 2 million illnesses and 23,000 deaths each year. There is more than enough motivation for the medical community, and major institutions like the DoD, to want to treat infectious diseases without relying on antibiotics, which aren’t always effective, and which can cause a swathe of new problems. The company has had a long and fruitful relationship with the Commonwealth Scientific and Industrial Research Organisation (CSIRO). In fact, the company’s IMM-529 asset designed to treat C. Difficile and other dangerously stubborn gastro-intestinal infections, was manufactured by the CSIRO Separations Science team and Pharmaceutical Packaging Professionals. IMC recently announced that it would once again be working with the CSIRO — this time to produce three Shigella therapeutic products for preclinical assessment by the WRAIR. If successful, the program will be funded, again, by the US DoD to support the clinical development of the product. Although IMC does remain a speculative stock and investors should seek professional financial advice if considering this stock for their portfolio. With valuable support from the US Department of Defense and Australia’s highly-respected CSIRO, we expect the good news to keep on coming from this A$55 million-capped biotech as it looks to further prove up its immunotherapy assets. Chronic liver diseases: Non Alcoholic Steatohepatitis (NASH), Alcoholic Steatohepatitis (ASH), Pediatric non-alcoholic fatty liver disease (NAFLD) — backed by clinical trials. Colitis — backed by preclinical research. C. Difficile infection — currently the subject of a clinical trial. Shigella, Campylobacter/ ETEC infections — a key focus of ongoing DoD studies. Autism — currently being looked at in preclinical research. News of solid progress on its ongoing collaboration with the US Department of Defense is one more dose of validation that this biotech is onto something big. With seemingly endless potential to help those with gut-mediated disease, in time IMC shareholders could prove to be winners too.